I love pulled pork. I usually make it in the crockpot with apples, bacon and onion for sandwiches, but this time I wanted to change it up and make something to put on tacos. Around here we love Mexican food. I try to make something of that style at least once a week. I have mastered some of our favorite dishes such as Cream Cheese Enchiladas with Corn Casserole. The last time I made the corn casserole I made it in individual muffin tins and it was the best because they were easy to hold and eat and they were nice and crispy all the way around. I wanted to put this in the crock pot to cook because it is easier and takes less effort on my part. I started thinking about the last time I made fajitas and used a mix of orange and lime juice and thought that would be a great addition to the pork. These turned out so amazing, I didn’t want to stop eating them. I had quite a few toppings, two of them homemade. We used this recipe for Salsa, which is our favorite, and these Pickled Peppers, which add a great zing to the tacos. I also had plum tomatoes, avocados, sour cream and some shredded cheese. You can top them with whatever you like. **Gluten free when you use a corn tortilla. Turn your crock pot on high to get it heating up. 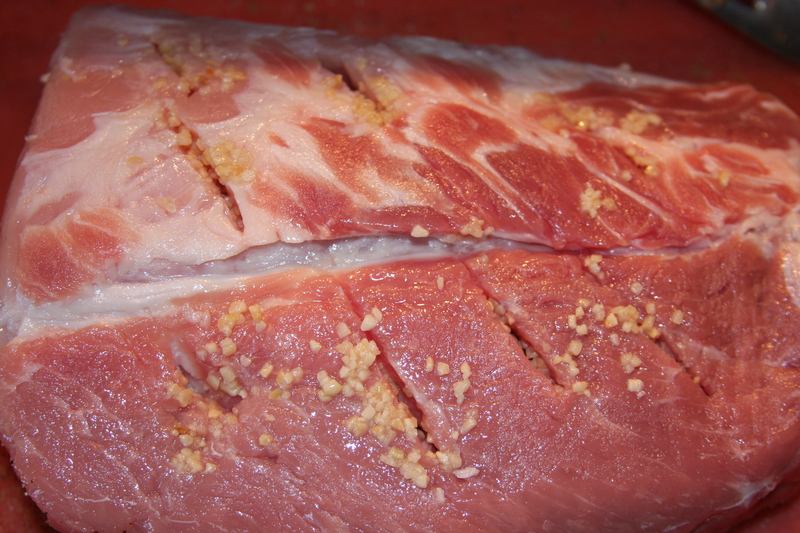 I took a large knife and made several large slits all over the pork, then stuffed each one with minced garlic. 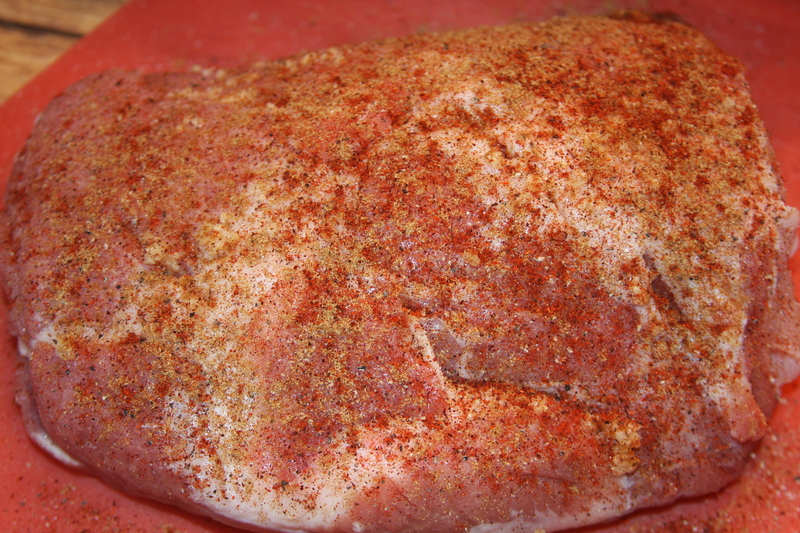 Take the cumin, chili powder, salt and pepper and season the roast generously on all sides. 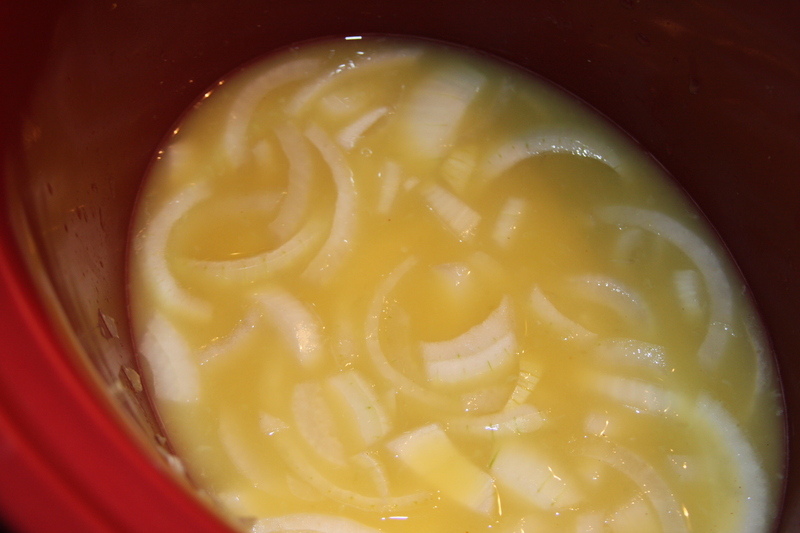 Add the orange and lime juice and chicken broth to the crock pot along with half of the onions. 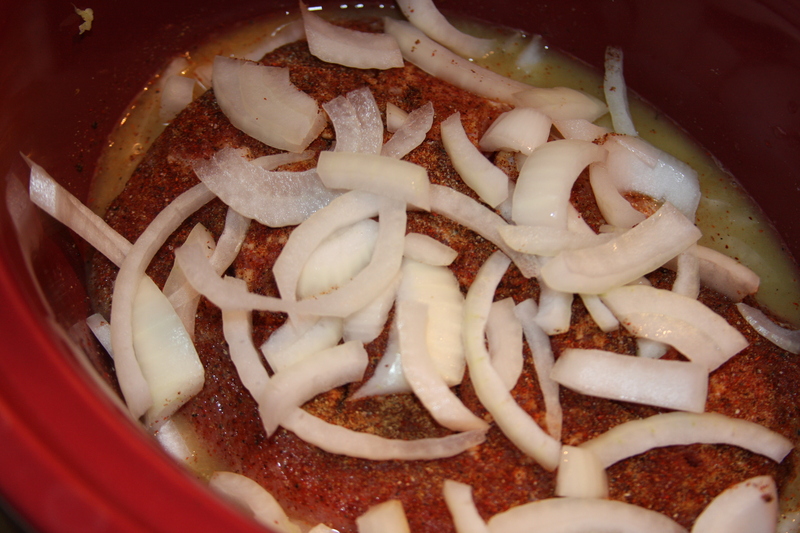 Place the pork on top of the liquids and top with the rest of the onions. 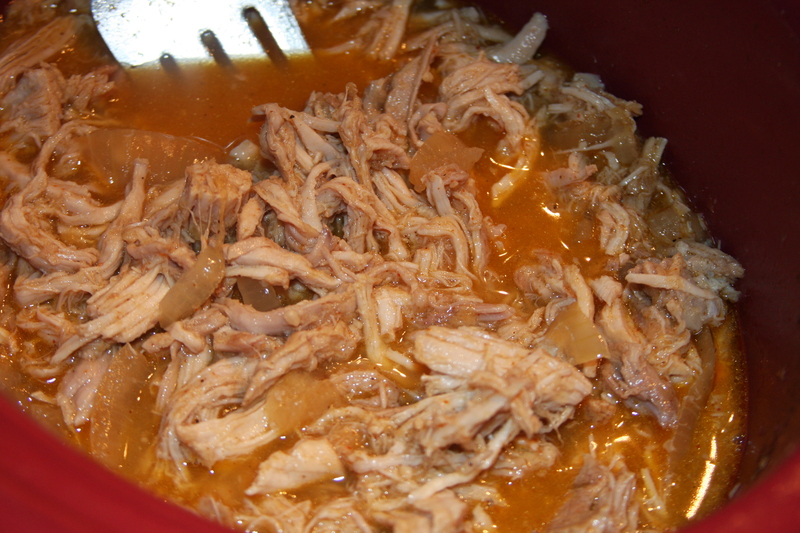 Place the lid on top and cook for about 4-5 hours, or until the pork is cooked through. About the last 30-45 minutes of cooking I take two forks and shred the meat apart and mix it well with all the juices. 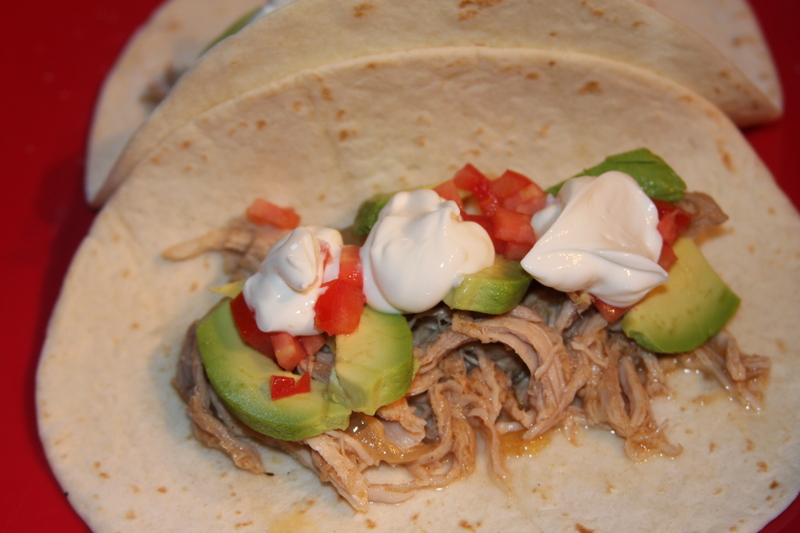 When finished, lay out your tortillas, top with some of the pork and then add on whatever toppings you like. 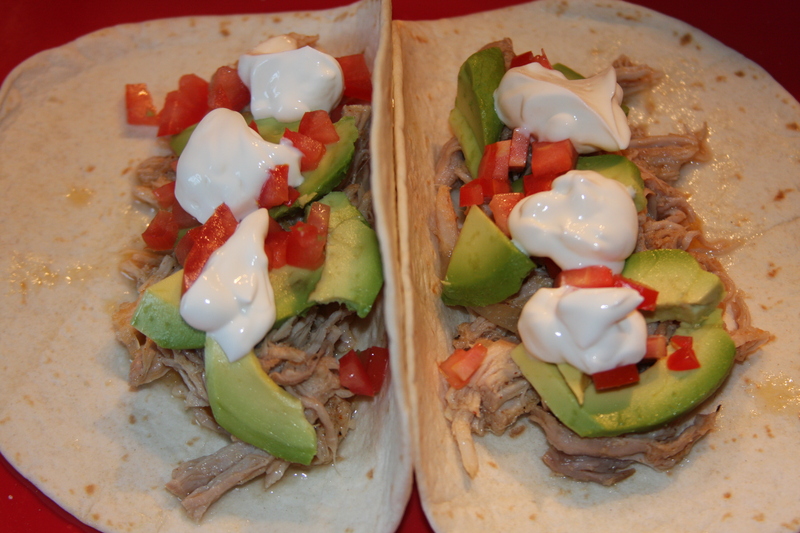 This entry was posted in Crock Pot Dishes, Dinner, Gluten-Free, Lunch, Mexican Inspired, Pork, Recipes, Sides, Snacks. Bookmark the permalink.